Poster Child agency has signed up Sydney afrobeat group True Vibenation. They join a roster that includes FISHER, Ebony Boadu, LO’99, Kilter and Kinder. True Vibenation emerged from the cultural migrant melting pot of Western Sydney. Drawing from their African heritage, their influences were as much Fela Kuti, Hugh Masekela and The Daptone Horns as Outkast, Fat Freddy’s Drop and Rudimental. 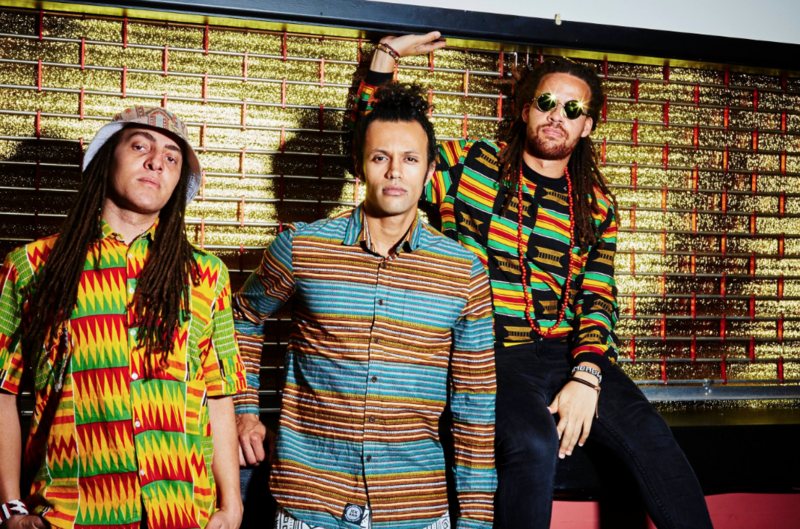 Their mix of big bass, big beats and live horns took them overseas to play festivals like Glastonbury (UK), HIFA (Zimbabwe), Bushfire (Swaziland) and Azgo (Mozambique), as well as being handpicked to support acts such as Ozomatli and Thievery Corporation on their Australian tours. 🚨 NEW ARTIST ALERT 🚨We're thrilled to announce that Australian afrobeat and hip hop group True Vibenation have joined the Poster Child roster.Here's a video of the highlights of their past year, we're looking forward to more big things from these guys! True Vibenation combine an irresistible blend of soul and afrobeat backed by big bass, big beats and live horns. Made up of multi-instrumentalists Vuli, Moody and Klue, the trio has developed a reputation for an electric live show, which includes all three artists producing beats and playing horns live on stage, taking them to some of the world’s finest festivals including Glastonbury Festival (UK), HIFA (Zimbabwe), Bushfire Festival (Swaziland), Azgo Festival (Mozambique) and Sydney Festival, as well as being handpicked to support acts such as Ozomatli and Thievery Corporation on their Australian tours. Drawing from their African heritage and raised in the cultural migrant melting pot of Western Sydney, their sound takes influence in equal parts from Fela Kuti, Hugh Masekela and The Daptone Horns as it does from Outkast, Fat Freddy’s Drop and Rudimental.2019 is shaping up to be an huge year with the release of new music, a short film, as well as return tours to Europe and Australia. The track ‘The World Is Ours’ peaked at #1 on Spotify’s Viral Chart in the UK and #4 on the Global Viral Chart, was added to triple j and was supported by international blogs Afropunk, Indie Shuffle and Acid Stag. Latest single ‘Squat’, a collaboration with Haiku Hands, was added to rotation on triple j and as well as gaining support from tastemaker blogs such as NME. True Vibenation added, “Poster Child is an amazing agency and we’ve seen them build great things with their roster of talented artists. The sign-up comes as True Vibenation get set for a release of new music, a short film, as with return tours to Europe and Australia in the works.